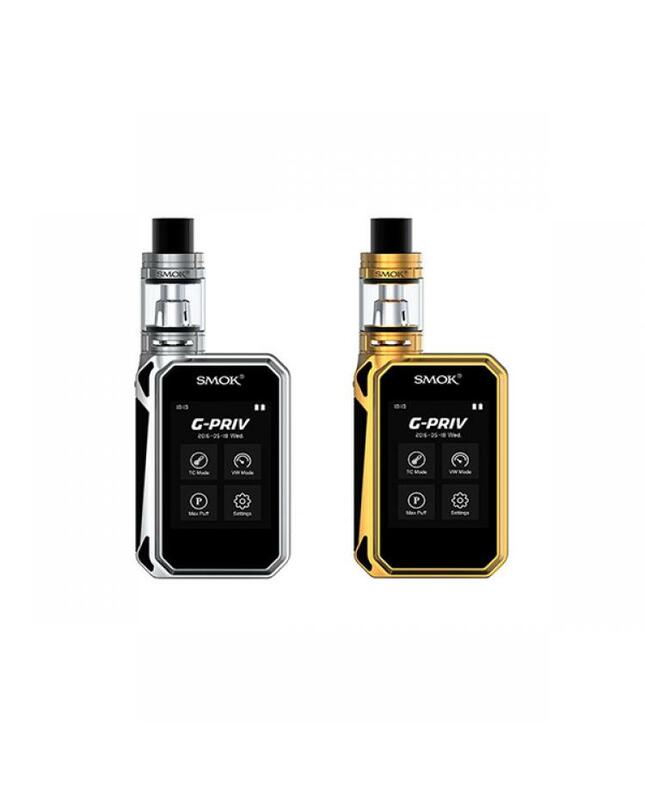 The Smok G-Priv, which includes g priv 220w mod and tfv8 big baby cloud beast tank, the vapor mod with big 2.4inch touch screen and simplify the operation, comes with tfv8 big baby tank, bring vapers to brand new touchscreen vaping experience. 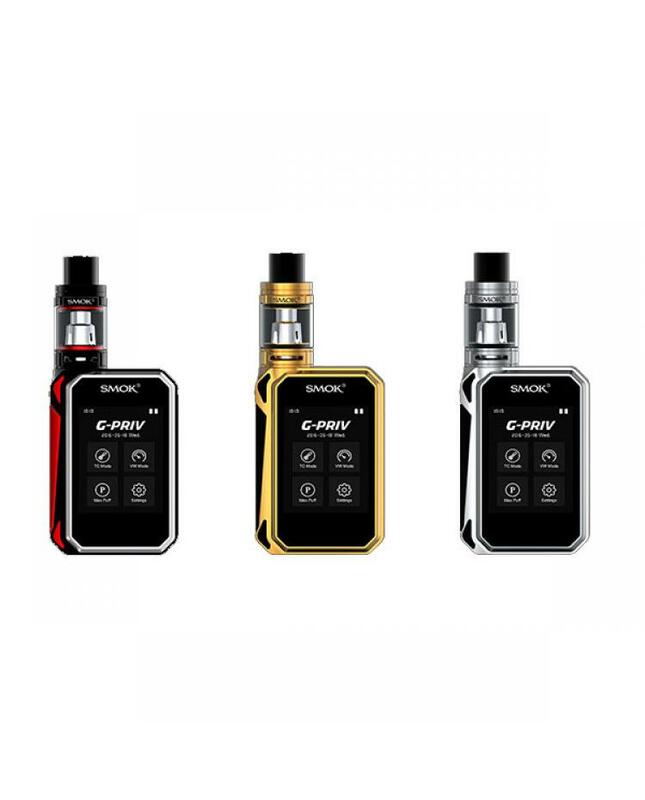 G-priv mod made of zinc alloy and carbon fiber, 20% weight, and 20times strength. only black&red color available now, max output 220watts, support resistance as low as 0.06ohm. 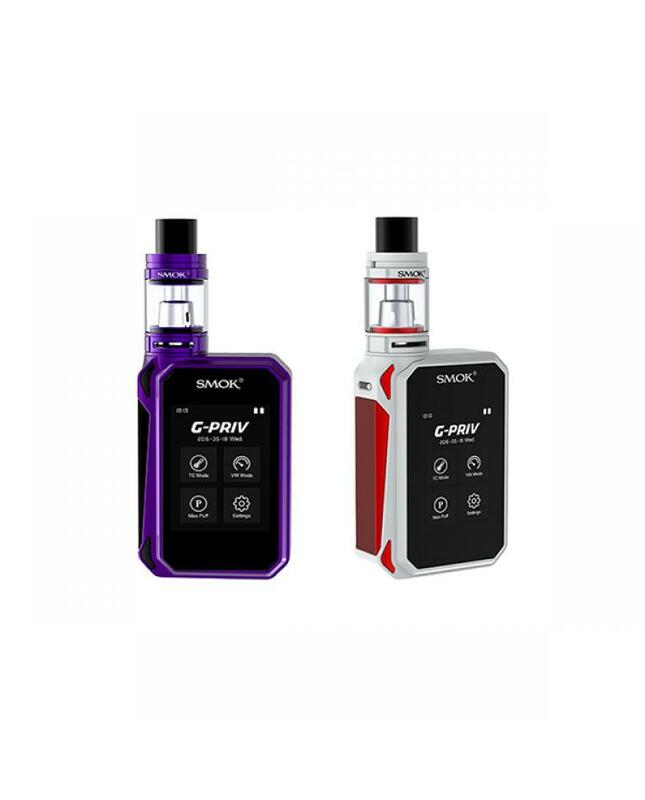 g priv with the 2.4inch touch screen, 2.4inch touch screen realizes man-machine interaction. adopts high strength toughened glass, perfectly fitted, shatter-resistant and shock-proof. fast press fire button three times to lock the screen and can not vape, another fast three times press fire button, will unlock the vape mod and can vape again. 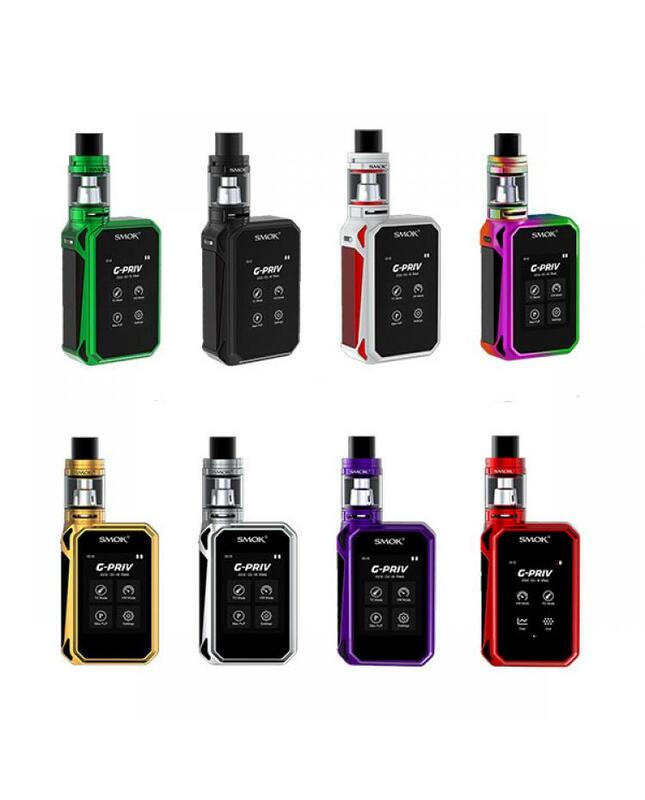 the large-touch screen with improved vaping UI, UP and DOWN button of vaping UI is more practical and simple, sensitive and big screen touch area is easy to operate, easy to adjust power or temperature value, and adding 12seconds cut-off function accompanies the circle icon counts down, the main menu and sub-menu is easy-to-read and manage vaping data, screens show product name, date and time display, dual battery life, VW mode, TC mode, max puff, and setting. 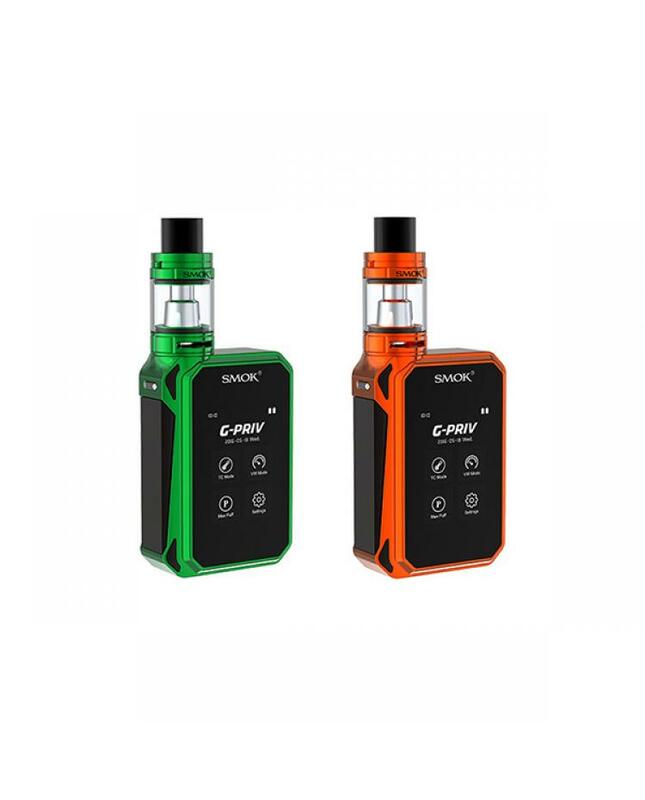 the smoktech g-priv powered by 2pcs 18650 batteries, can be charged via micro-USB port. TFV8 big baby made of stainless steel and pyrex glass can hold 5ml e juice, with top refill and bottom airflow adjustable design, comes with v8 baby-x4 and v8 baby-t6 coils, brings you cool and smooth taste.